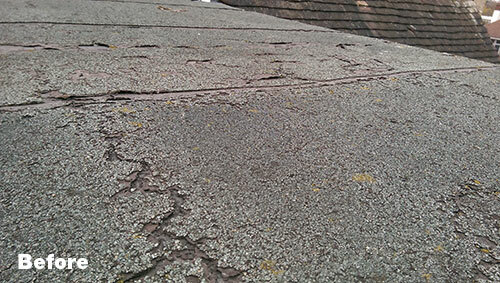 Black Hawk are proud to now be able to offer our customers a 10 year guarantee on flat replacement roofs. This has not been possible in the past due to the fact that traditional felt roofs have been constructed with a number of layers of felt which by their very nature have joints and in time may fail. 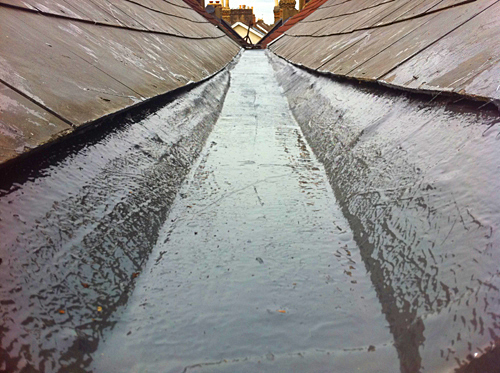 The solution to this old problem is to supply and install Glass Reinforced Polyester (GRP) waterproofing system which has no seams,joints or welds. Our fibreglass roofs come in a variety of colours and are without doubt the toughest & longest lasting flat roof money can buy. 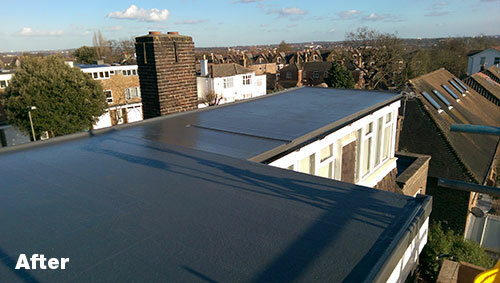 This is not a new concept but in recent times the costs of materials have been lowered so a new GRP roof is comparable in price to the old three layered felt roof but without any of the drawbacks. The normal topcoat finish is grey but any colour you choose is available. Fiberglass is also an excellent way to make or line box gutters. As well as just replacing the roof covering, while the roof is removed it is a good time to update the insulation in the roof void without removing the inside ceiling.